Excellent opportunity for all B.E, B.Tech candidates through BNY Mellon Recruitment 2019..!! And candidates who want to take part with the BNY Mellon Technology must refer to this page. This BNY Mellon Recruitment 2019 is only to hire suitable candidates for the Quality Assurance/ Testing Analyst role. Check the BNY Mellon Eligibility Criteria, Job Description given in the below sections of this page. So, apply with the given Online Registration link from the end. 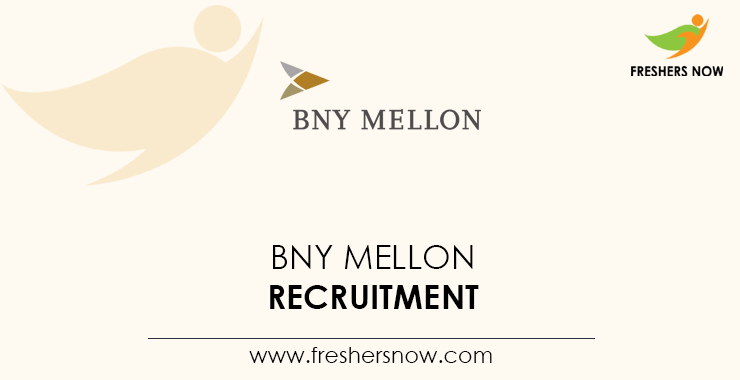 Freshers, as well as candidates having 2 years experience, can attempt the complete BNY Mellon Recruitment Process. 1.4 How To Apply For BNY Mellon Recruitment 2019? Assists in the preparation and execution of Quality Assurance (QA) testing of new or modified applications/ systems across multiple computing environments (e.g., host based, distributed systems, client-server). The Bank of New York Mellon Corporation, incorporated on February 9, 2007, is a global investments company. The Company is focused on helping its clients manage and service their financial assets throughout the investment lifecycle. It provides financial services for institutions, corporations or individual investors. It allows clients to create, trade, hold, manage, service, distribute or restructure investments. The Company operates businesses through two segments: Investment Management and Investment Services. The Company also has the Other segment, which includes the leasing portfolio, corporate treasury activities (including its investment securities portfolio), derivatives and another trading, corporate and bank-owned life insurance and renewable energy investments, and business exits. As of September 30, 2018, the Company had $ 34.5 trillion in assets under custody and/ or administration and $ 1.8 trillion in assets under management. Visit the official site of the BNY Mellon Technology @ www.bnymellon.com. In that home page search for the desired job in the Careers section. Select the location and the qualification you have, so that click on Apply Online. Enter the valid details on the Application Form. Upload the accurate documents to get placed through the BNY Mellon Recruitment Process. For any other information regarding the BNY Mellon Recruitment 2019, you can easily visit our Freshers Now page. Furthermore, you can easily comment us in the below section.